Wayne Sinclair spent his school years in Blenheim - leaving to train as a Display Artist. A self-taught artist, he took up the brush in 1968 - shifted to Hamilton and in 1972 made painting his profession, becoming a full time artist. During this time he has won many major N.Z. 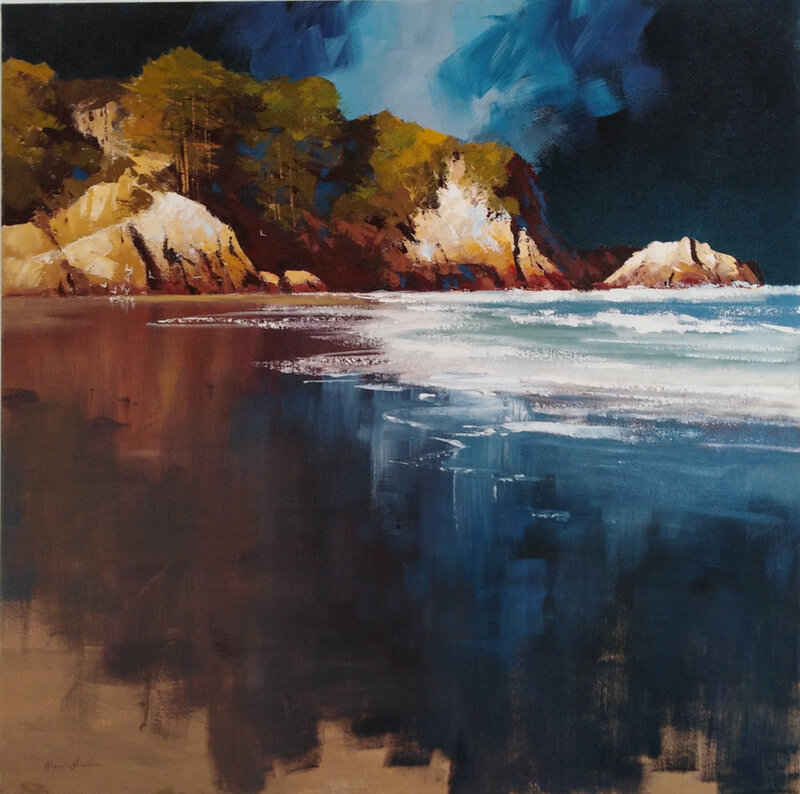 Art Awards - travelled the world, taught adult painting classes around the Waikato area and opened own art gallery in Cambridge in 1997 with wife, artist Robyn Barclay. Wayne has a varied approach to his work - The subject dictates the style. The concept sometimes being colour, light or detail. Subjects vary from typical N.Z. landscapes, bush, coastal, horses and English, French, Spanish and Italian themes as a result of his travels. Wayne has paintings in large and prestigious collections around the world.